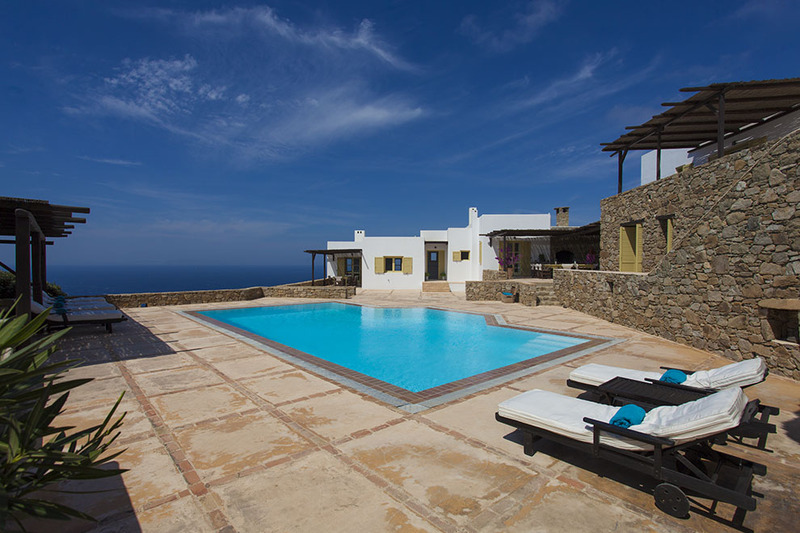 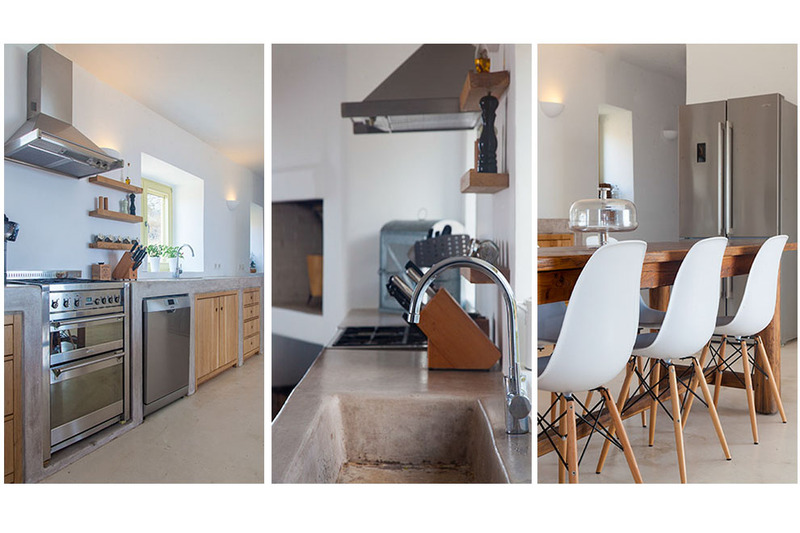 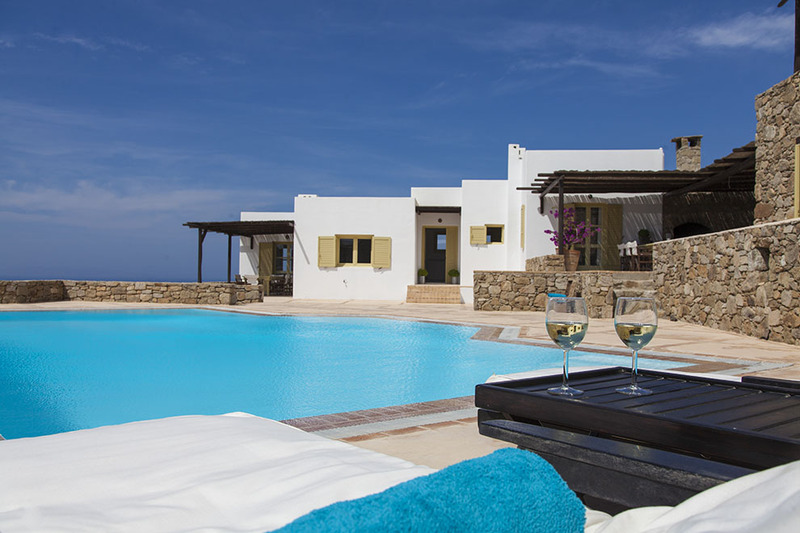 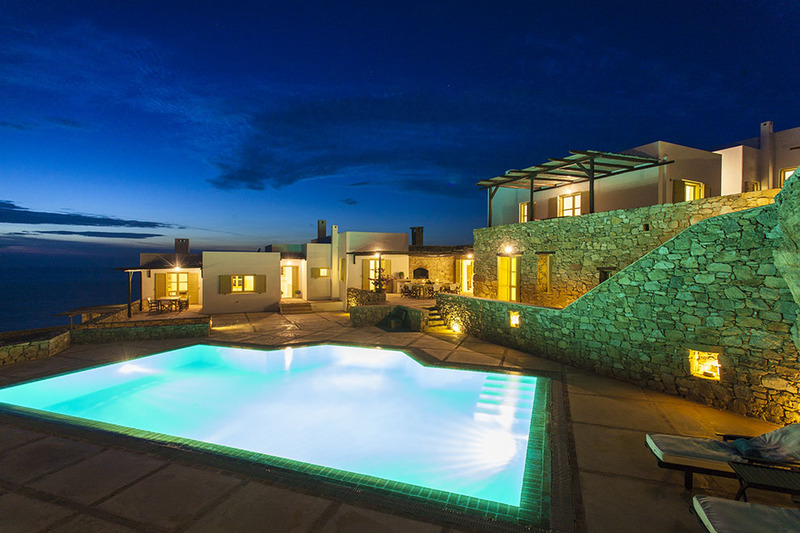 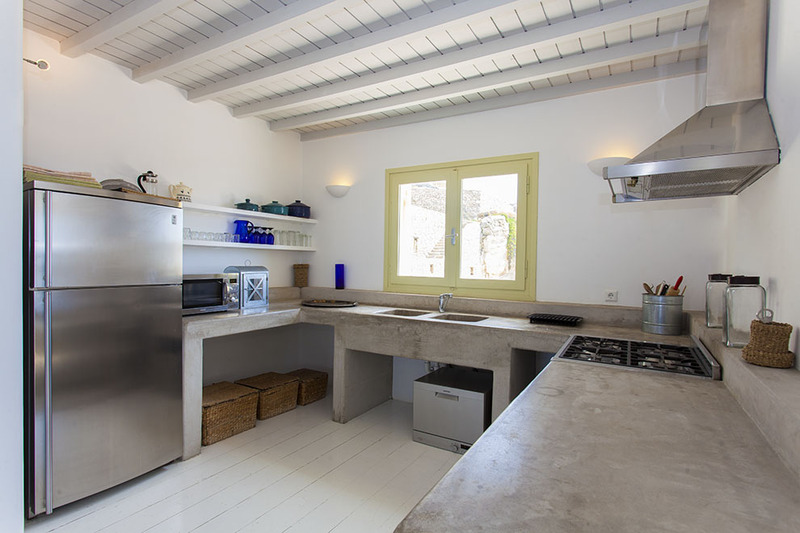 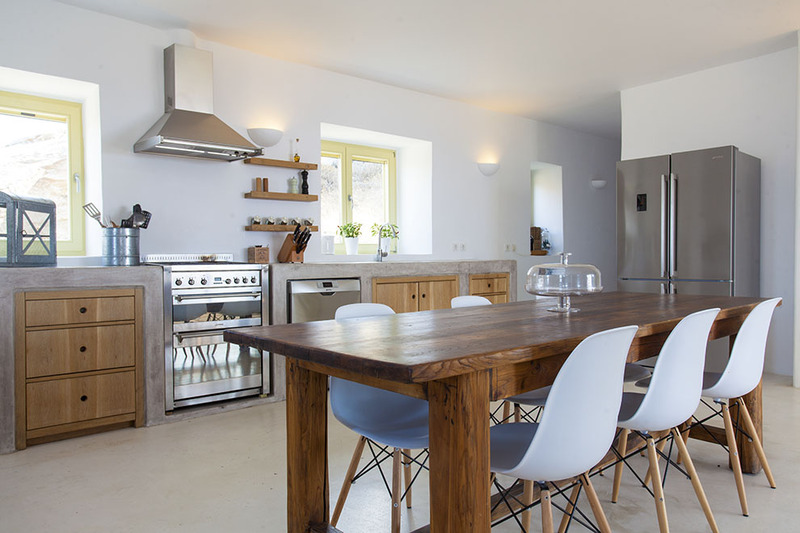 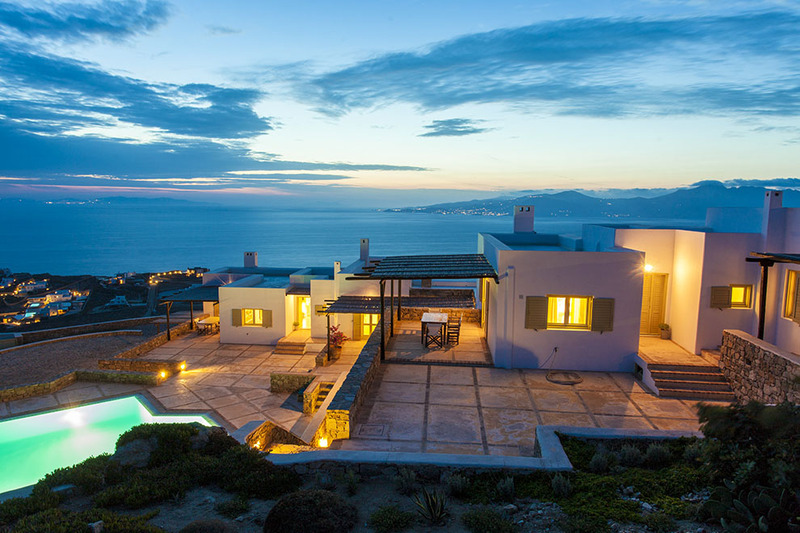 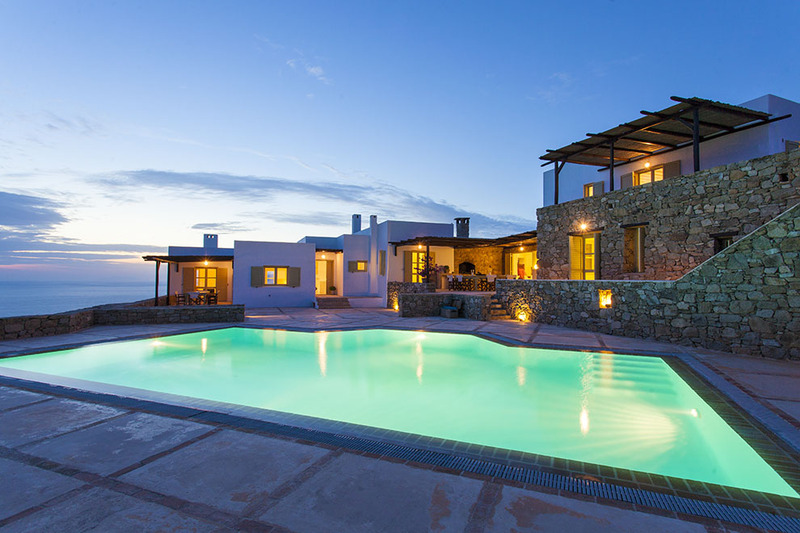 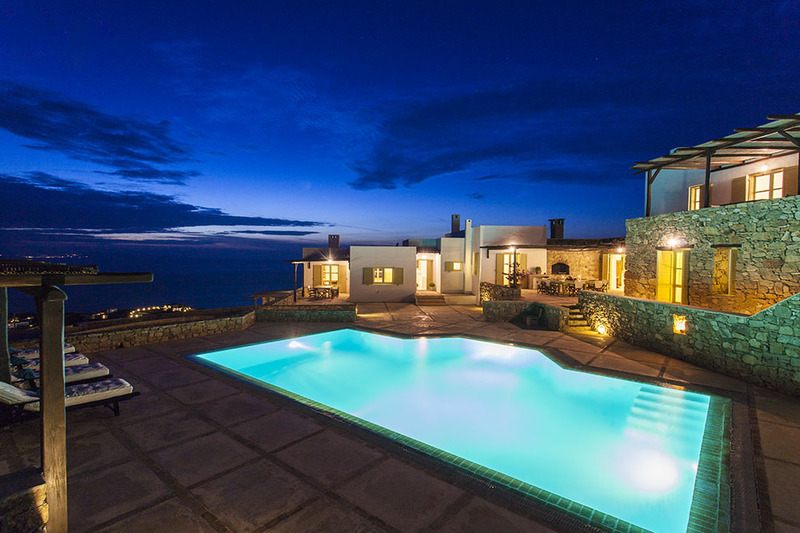 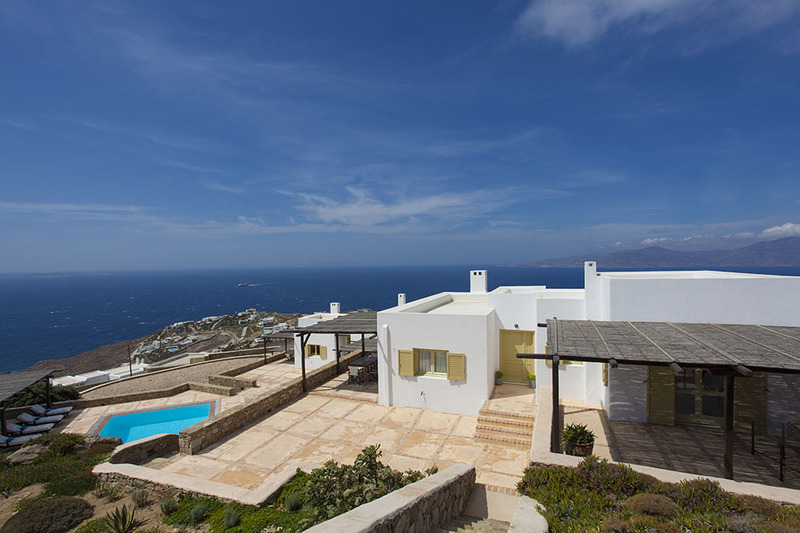 Villa Aegean Ripple is situated at the area of Fanari, in a quiet location offering a panoramic view to Mykonos Town, as well as the Cycladic islands of Delos, Siros, Tinos, and Paros. 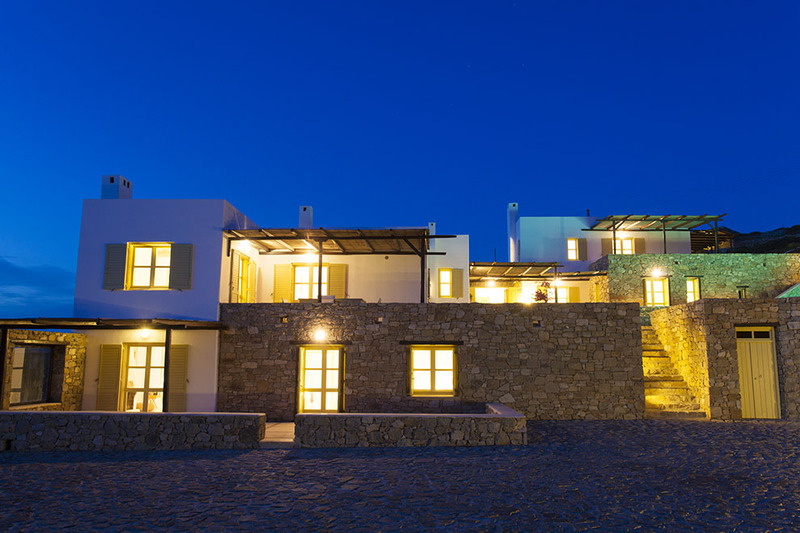 In the evening hours after the enchanting sunset, thousands of faint lights twinkle at Mykonos Town creating a romantic ambience. 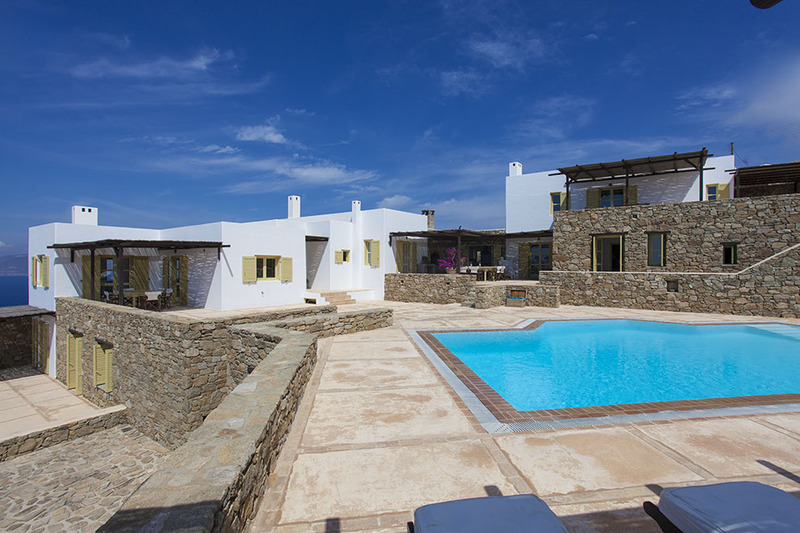 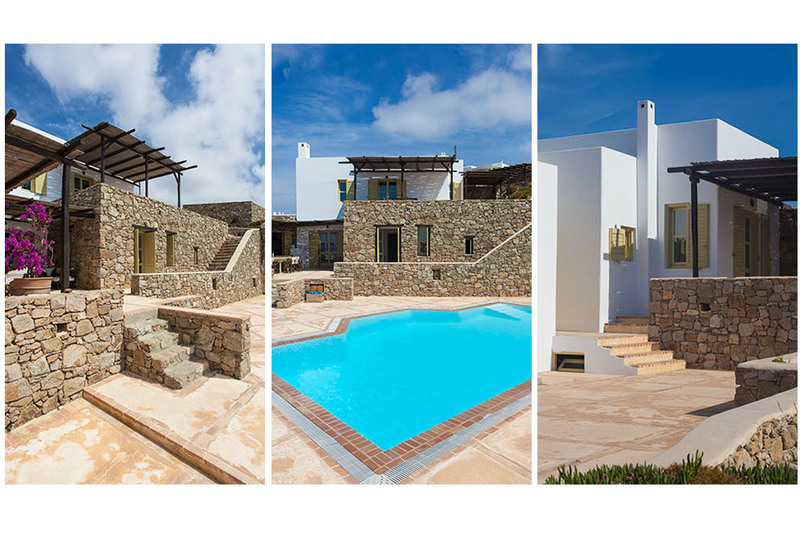 The Mykonos villa consists of two separate constructions, the main house and a guesthouse, that offer comfort and independence. 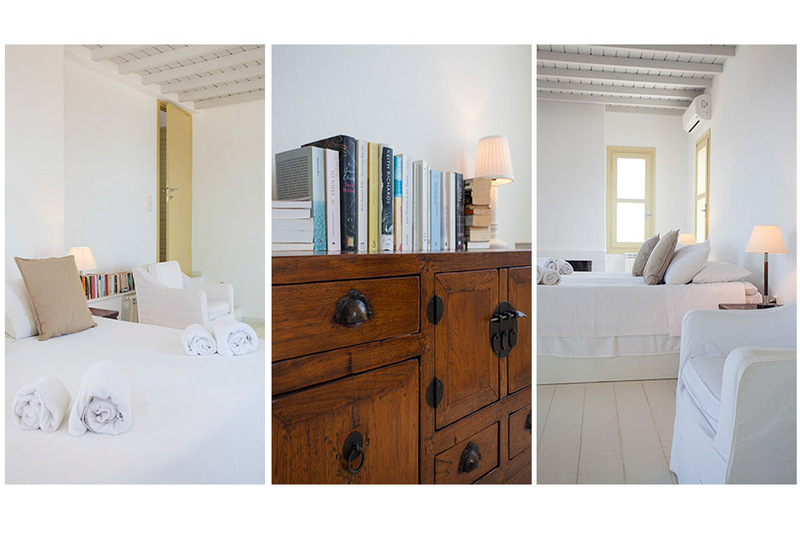 Each one consists of a spacious living room with a fully-equipped kitchen and six beautifully decorated comfortable en suite bedrooms. 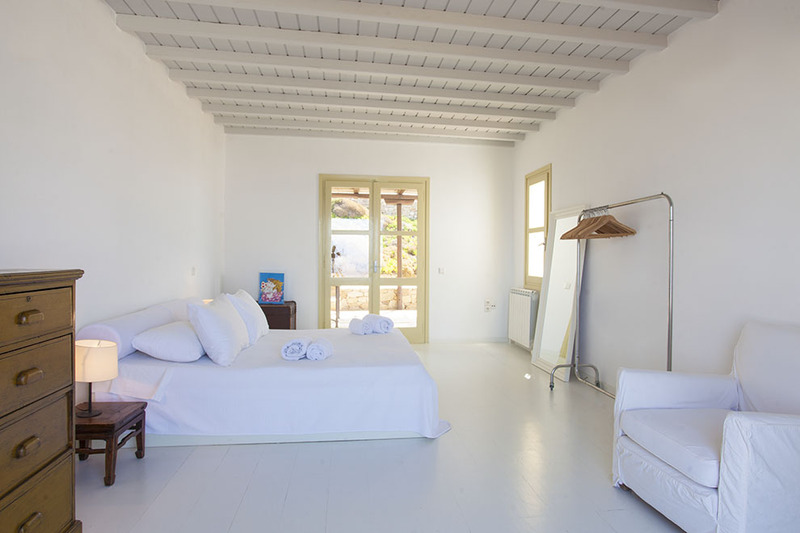 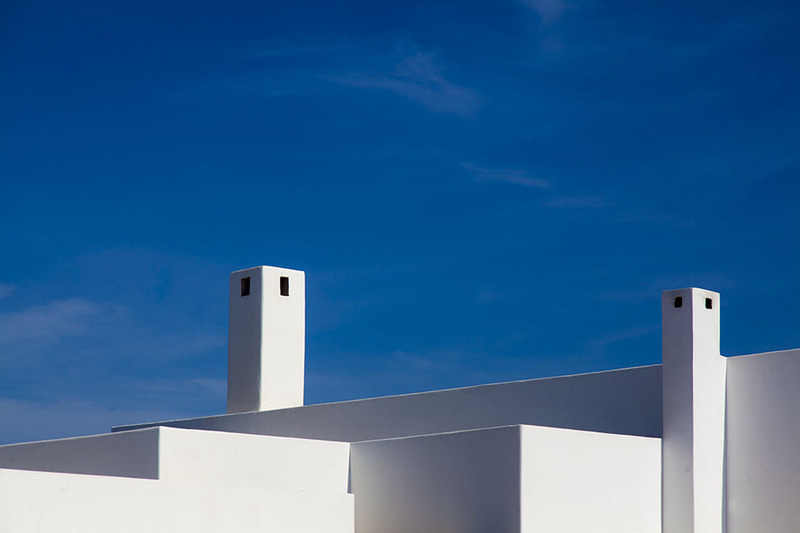 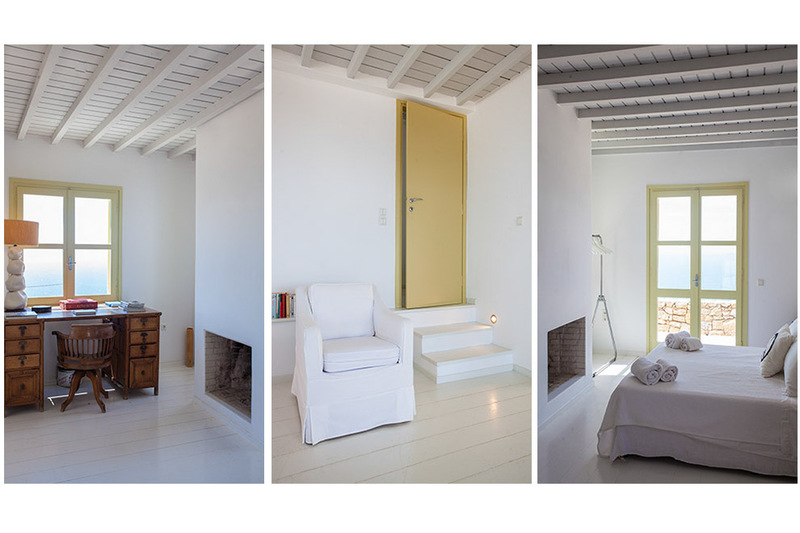 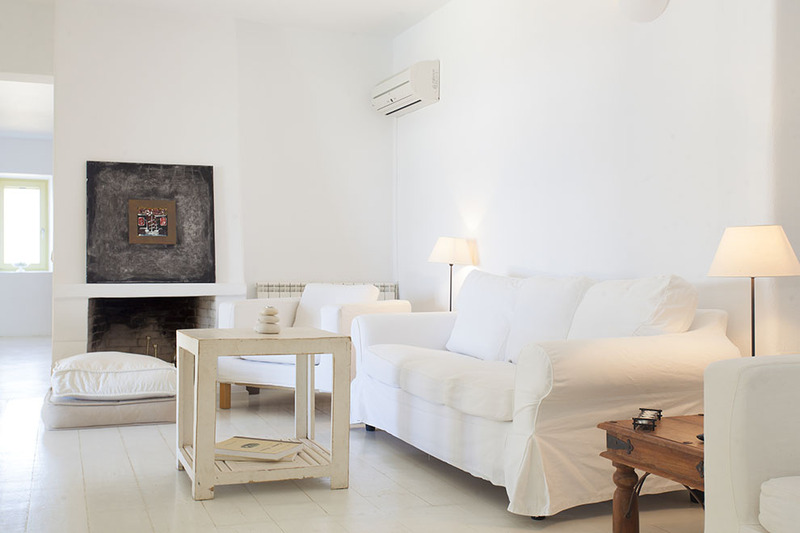 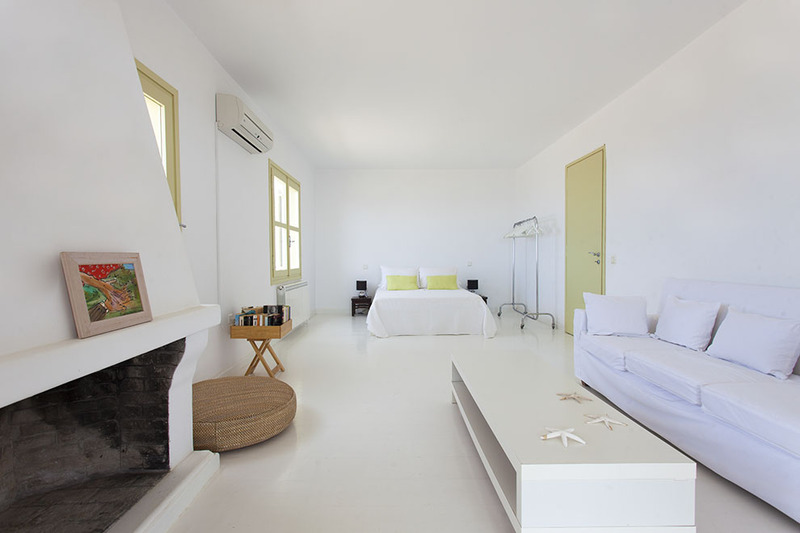 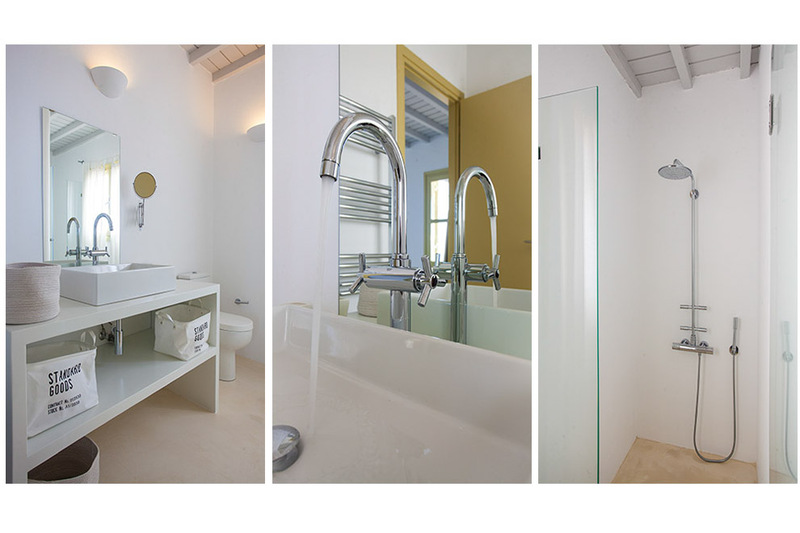 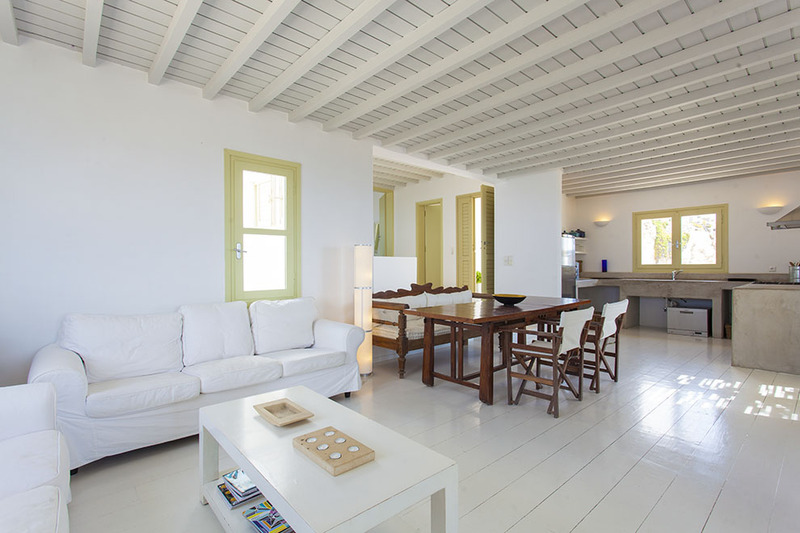 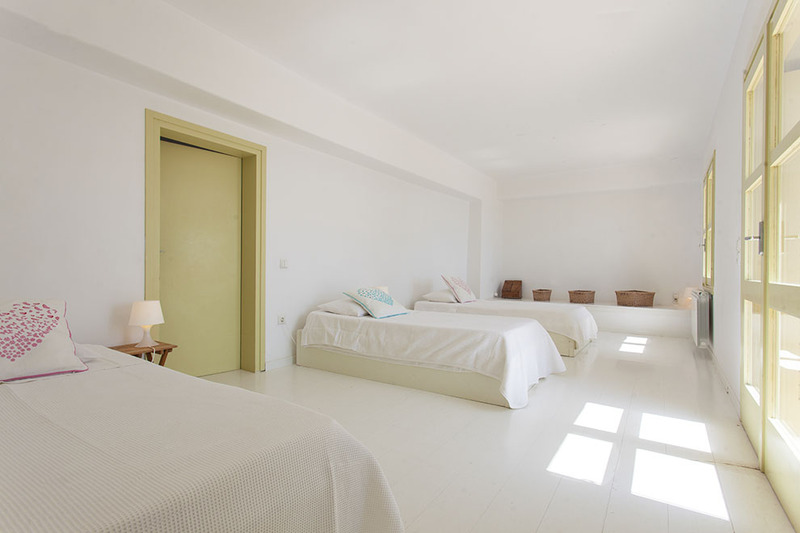 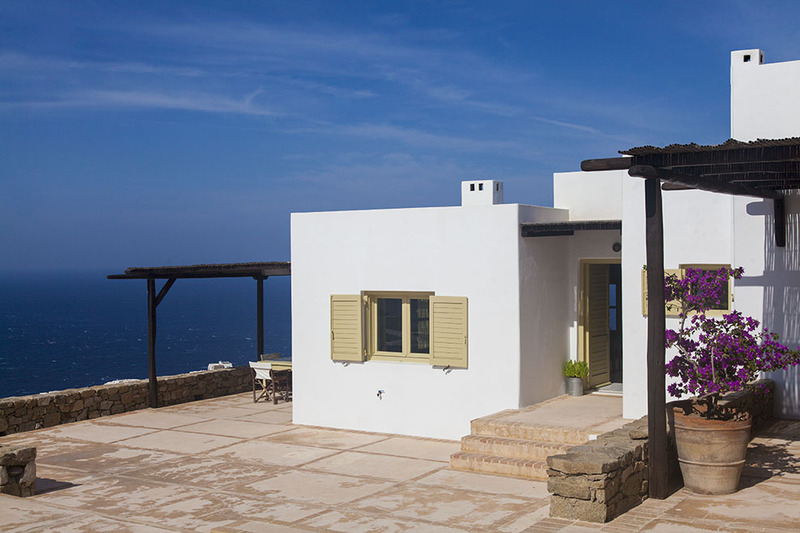 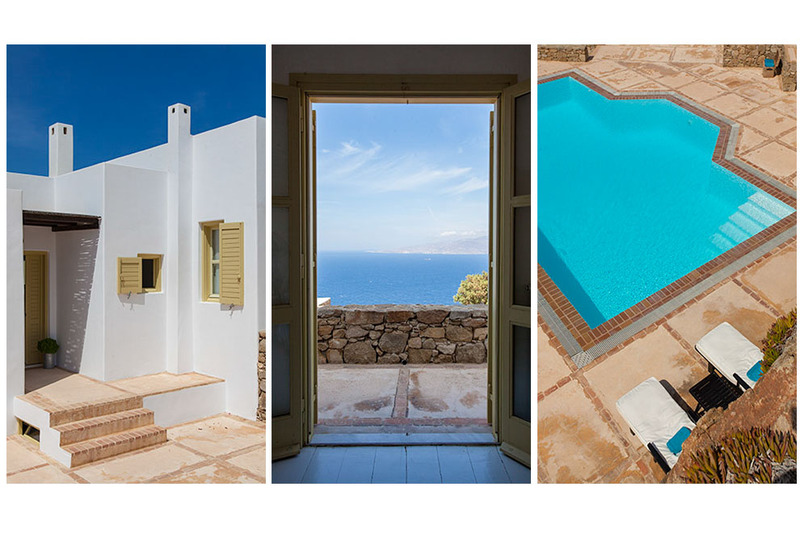 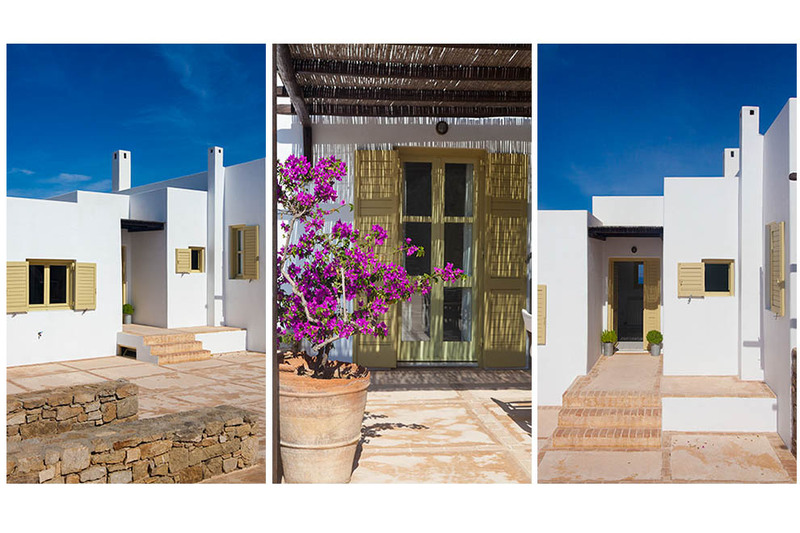 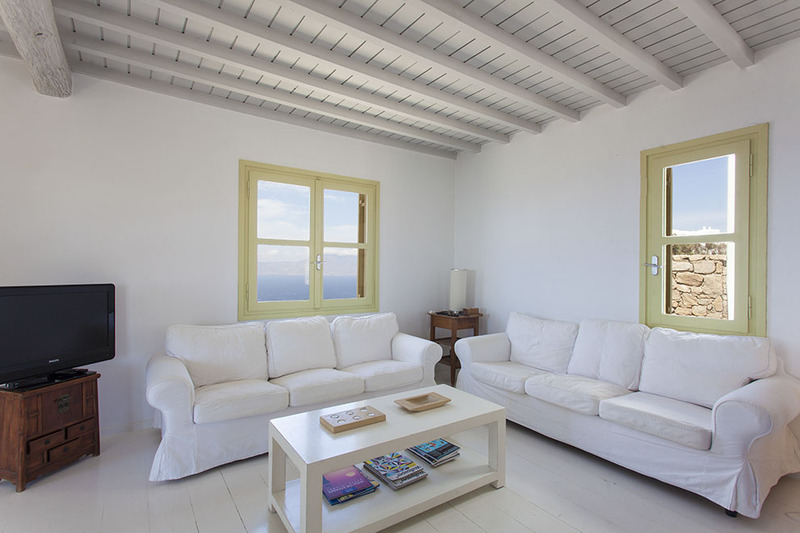 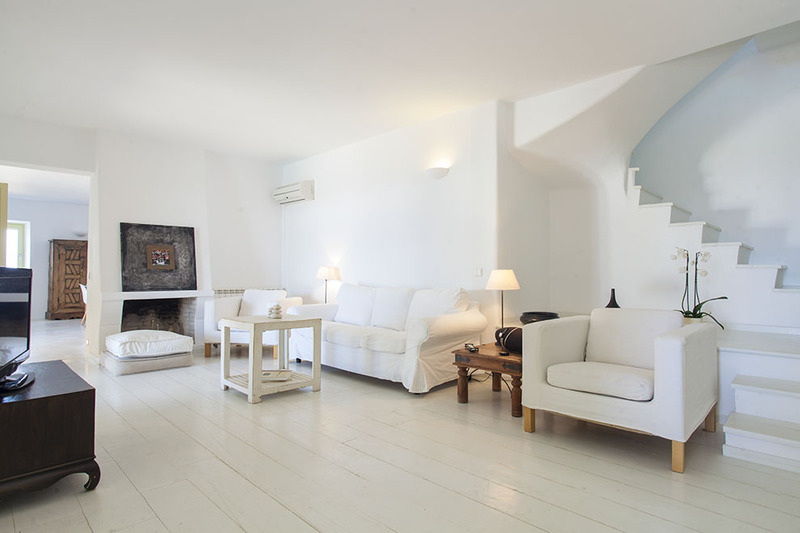 Villa Aegean Ripple is of fresh and modern Cycladic character with large white spaces and pastel color touches. 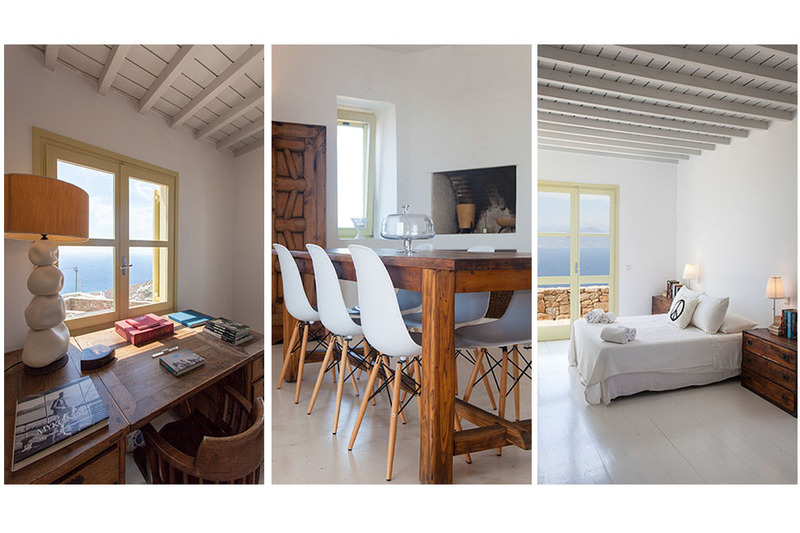 The numerous windows, the elegant works of art and the wooden furniture that are handpicked create an environment of absolute warmth and pure relaxation. 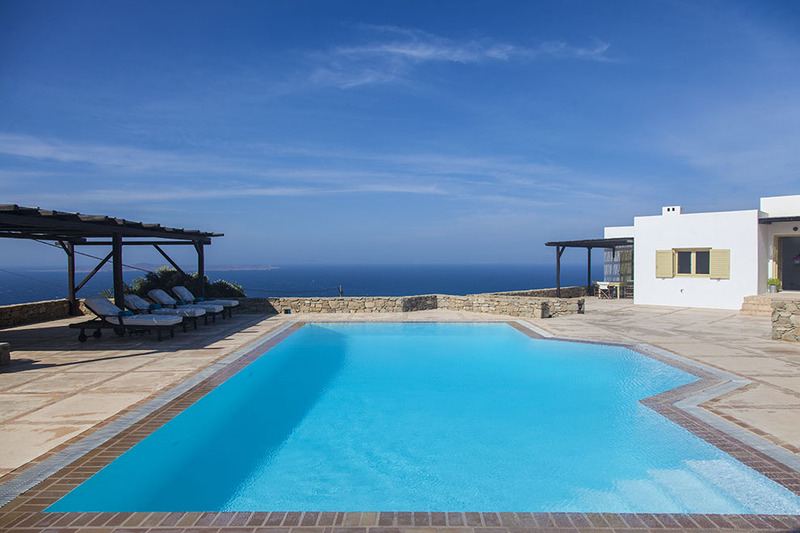 Moving on to the outer areas, the amazing swimming pool with its sun beds is ideal for sunbathing while gazing across the Aegean. 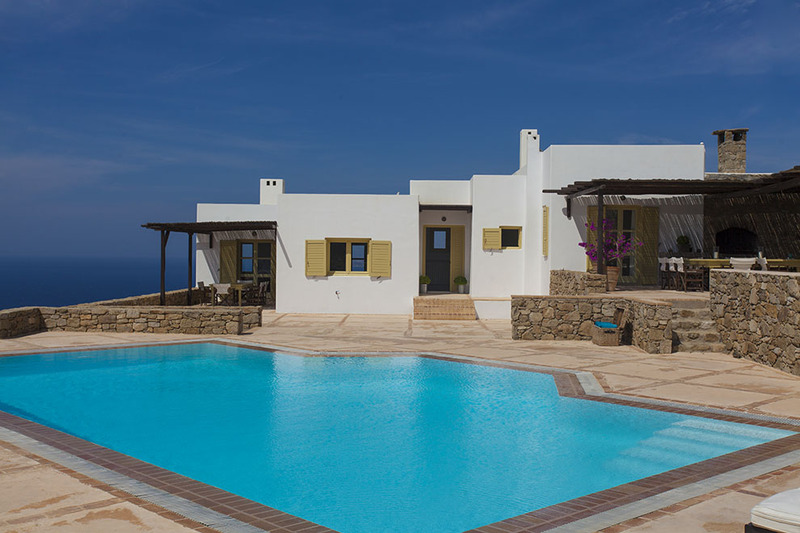 Next to the pool there is a pergola that creates ample shade to the outdoor sitting and dining area with its special built-in settees and the BBQ. 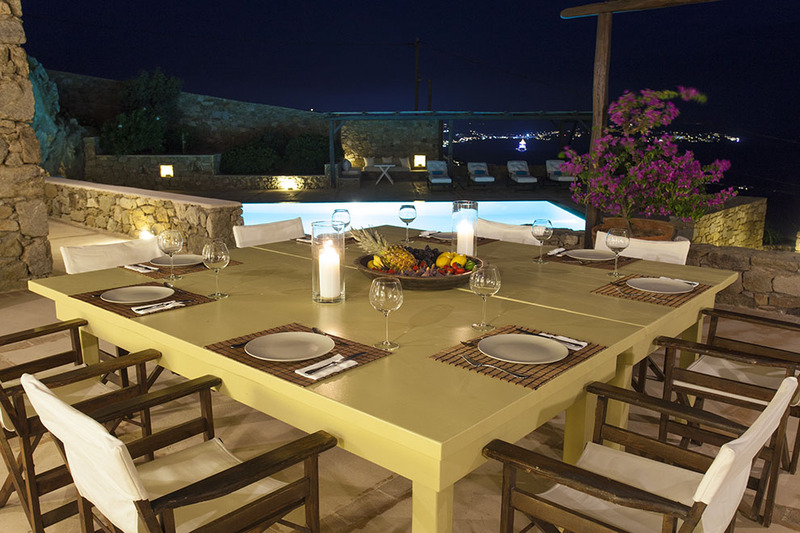 Villa Aegean Ripple is ideal for large groups that are looking for an elegant, comfortable and pleasant environment with a magnificent view and that wish to enjoy their vacation in privacy.